Mr. Pulido has been in the mortgage business for 29 years. Mr. Pulido is currently the President/CEO of LendAmerica Financial. LendAmerica Financial is a privately funded hard equity mortgage lender. Mr.Pulido formerly owned Certified Mortgage Bankers, Inc., founded in 1983 which grew to be one of the Premier Mortgage Banking Companies in South Florida through the 1990's. The primary niche for Certified Mortgage Bankers was builder and developer business and in most projects was its preferred lender. In 2001 Mr. Pulido founded LendAmerica Home Loans, Inc. and again for 8 yearsbecame one of South Florida’s Premier Mortgage Banking firms. Mr. Pulido is a true expert in Mortgage Banking with extensive experience in retail & wholesale operations, secondary markets, sales & marketing, mortgage warehousing and as a Fannie Mae seller/servicer had a servicing portfolio of over $250,000,000.00. Mr. Pulido over the past 29 years has successfully fundedover 3 Billion Dollars in mortgage loans in South Florida. 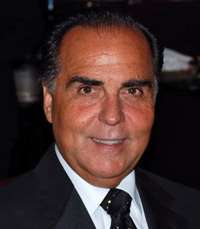 Mr. Pulido is an active member of the Mortgage Bankers Association of America, Florida Mortgage Bankers Association, National Association of Mortgage Brokers, Florida Association of Mortgage Brokers, Latin Builders Association, Builders Association of South Florida and a most proud member of "Pedro Pan" from the Peter Plan flights of the early 60's from Cuba.